Design and Implement the Hybrid Cloud IT Architecture for the futuristic Digital Banking across all the channels with a differentiation as an edge factor. Heading the 10 month time bound implementation of 77 business solution integrated with SOA and Event Architecture and 130+ project-streams run by more than 400+ team members. To head and guide a team of IT Professionals responsible for IT Operations, IT Communications & Network, IT Application Support and IT Governance. Project Management Office, Data Migration, Integration, Testing, Simulation Testing, Vendor Management, Business Users’ acceptance & sign-off, Internal Audit sign-off, Resource Management, Planning, Parallel Run, Production cut-over & Live. A Post Graduate from BITS and having an experience of last 33+ years in BFSI – IT, Sanjay Narkar has worked with MNC Islamic Banks, Conventional & Wholesale Banks in India and abroad. 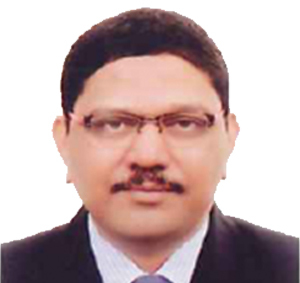 He has an International and Indian Banking IT Management Experience. He is very strong in Banking & Finance Technology Solution Domain, IT Support, Service, Delivery, Team, Vendor and SLA Management, Defining the IT Vision, Project Planning Execution Management. He was the Head of 3 Large IT Merger Projects of Indian Banking Industry. One of was awarded as the “Best Banking IT Project of the Year” in Asia Pacific Region by Asian Bankers.